The Strange Case of the Alchemist's Daughter is most definitely not a beach read. With six characters to follow, and a complicated narrative structure, this book is something you'll want to concentrate on and ponder. The tale involves five daughters of dark scientists from literature: Mary Jekyll, Diana Hyde, Catherine Moreau, Beatrice Rappaccini, and Justine Frankenstein. The women begin to explore secrets of the Société des Alchimistes. It's not a mashup, but definitely nods to diverse Victorian-era authors and themes. Of further possible interest, you might want to see how the author (Theodora Goss) manages to weave Sherlock Holmes, Dr. Watson and Jack the Ripper into the storyline. This book was based on the author's short story The Mad Scientist's Daughter, first published on Strange Horizons. You might also enjoy this interview with the author: The Big Idea: Theodora Goss. 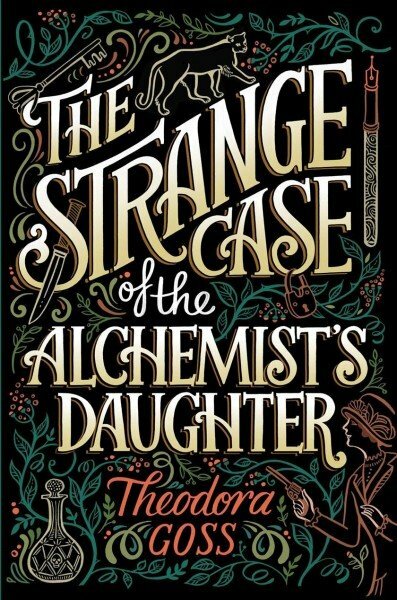 The Strange Case of the Alchemist's Daughter is also available on eBay and at Barnes and Noble.